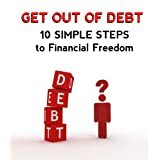 So, you’re swamped in more debt than you can even wrap your mind around. You feel like there’s no way out. You get calls each day from creditors threatening to garnish your wages, place liens on your vehicles, and even drag you into court. Your bills are piling up. You’ve racked up incredible amounts of credit card debt. You can’t see an end in sight.